Tipping Points, Boosterism and Next Steps. Not all cycling is about sports and recreation. Janette Sadik-Kahn’s use of the phrase ‘tipping point’, during her visit to these shores got me pondering. While there is clearly an increase in the number of people riding bicycles (albeit small in terms of mode share) I think she may have been referring to a growth in confidence amongst those advocates who get a sense that they are on to something; the shared vision that we need to create cities that are better for people, not cars. It suggests that this vision is being validated and the people promoting them are feeling energised and invigorated. It can be encouraging to connect with people from other cities in the world who have first-hand experience of the significant changes taking place in their own city. It’s a cause for celebration. In this context, we are at a ‘tipping point’. But in terms of actually seeing physical/cultural change happening, it is clear that we still have a long way to go. It is perhaps, the speed in which the change takes place that is up for negotiation. Years of experience in the classroom have taught me that while positivity is essential ingredient to creating behavioural change, it needs to be supported by pragmatism and the setting of precise goals. In terms of cycling, there is little value in claiming that ‘cycling’s booming’, when it clearly is not. Such ‘boosterism’ simply allows those people and organisations responsible for increasing cycling numbers ‘off the hook’. I wonder what the current growth target for cycling ridership in Auckland is. I recall a time when it was 0%. Surely, the setting of a mode share target needs to be the most pressing first step. So how do we take things to the next level? What do we need to do in order to start seeing some real change taking place? Creating streets for people is an economic imperative. 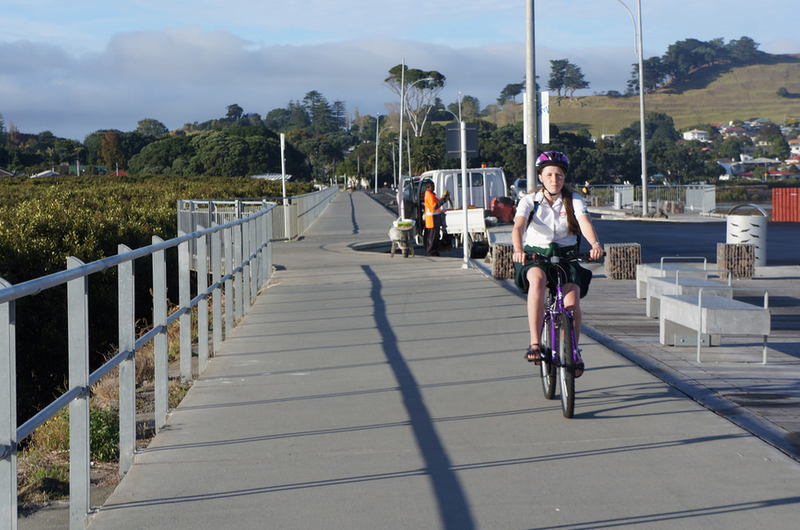 Can Janette Sadik-Kahn help Auckland replicate what has been achieved in New York? I ride a bicycle. Slowly. To get to places. ‘A to B’. Occasionally with family members. And that would seem to be all it takes to get oneself invited to ‘press the flesh’ with Janette Sadik-Kahn. Her visit to our shores created a real buzz. Let’s hope that buzz can be converted into ‘runs on the board’ in the short and long term. Metro Magazine got the ball well and truly rolling. Auckland Council gets an ‘A’ for initiative. And on the matter of the ‘Conversations’ series, wouldn’t it be great if all the best content from all the previous ‘conversations’ was packaged up, and sent out on a tour of the ‘burbs’? A slick and compelling marketing campaign. To reach a new audience. Beyond the converted. Reaching out to the fruit hanging slightly higher up the tree. Ms Sadik-Kahn talked about the need for boldness and innovative thinking. She described our current transport model as luxury we can no longer afford. Change is an economic imperative. It’s about economic prosperity. And it’s about the quality of life in our cities. The streets belong to the public at large. They should be designed to be inviting to people, not cars. Every citizen, every neighbourhood, in the entire city needs to have access to safe streets and all modes of transport. These are the messages that need to be amplified and repeated. Slick and compelling. We need to be able to acknowledge that a problem exists before we can address it. Cars have become such a destructive force in our communities. I wrote about that here. On top of that, the affliction know as Stockholm Syndrome seems to have spread its destructive power throughout our communities. Typically, I find there are two likely responses when this issue is raised. Firstly, it is an acceptance of the status-quo. ie. nothing can be done. Driving is in our DNA. The second type of response is much worse. It’s a kind of “what planet are you from, mate?” blank expression. You would have to imagine that the motor industry can’t believe its good fortune. And it’s in this context that my attention has been drawn once again to the ‘Walking School Bus’. I recall when it was first introduced. It was lauded for its potential to get children walking to school. But little has changed. The car is still the preferred mode of transport for the school run. Anyone around a school gate around 9am and 3pm can attest to that. Words need to be supported by much stronger actions. And I mean actions that make it easier to walk because driving is made less easy. In the absence of any meaningful action, this attempt to get children walking will remain a token gesture. And you know it’s flawed when teaching children to be aware of ‘sneaky driveways’ is one of the main teaching points. The real target audience should be the motorists themselves, with a focus of building a social contract. Creating a physical environment that gives priority to the little people walking and cycling over traffic flow should be a top priority. But you can see the problem. Your local transport agency is not going to be the first mover here. They will only be shifted by ongoing pressure from people within communities. And at present, those people seem largely satisfied with, or ambivalent to the current reality. The truest and most horrible claim made for modern transport is that it “annihilates space.” It does. It annihilates one of the most glorious gifts we have been given. It is a vile inflation which lowers the value of distance, so that a modern boy travels a hundred miles with less sense of liberation and pilgrimage and adventure than his grandfather got from traveling ten. They just don’t ride anymore. Presenting the riding of a bicycle as something that is easy and achievable is the raison d’être of this site. 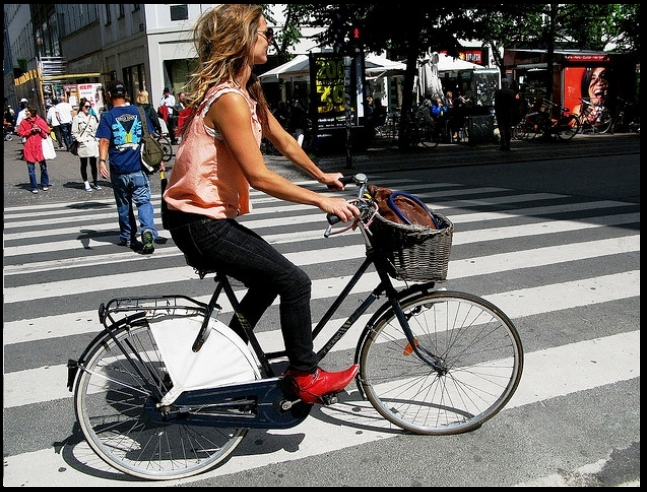 Everyone knows needs to know that riding a bike is fast, efficient, economic and healthy. It’s perfect for short, local trips. It’s perfect for getting children to school independently. 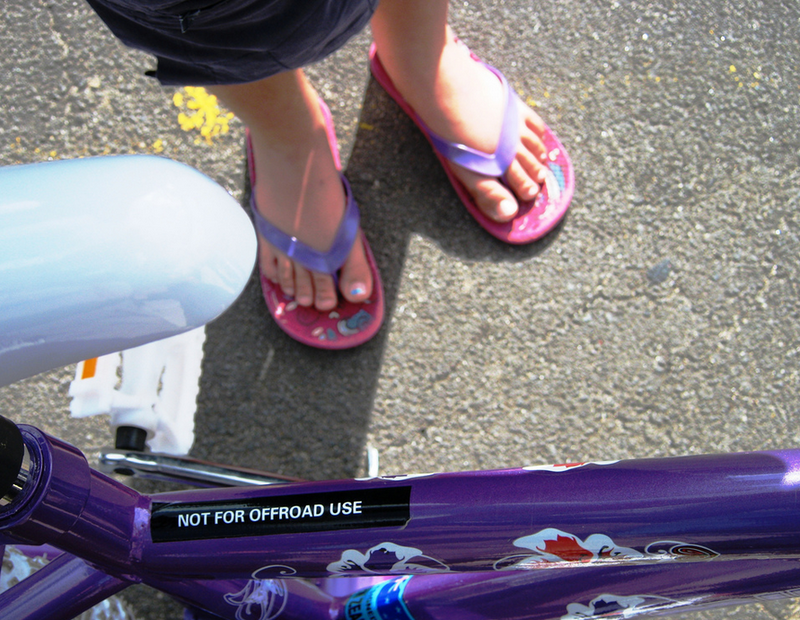 According to the New Zealand Transport Agency, in 1989, children clocked up about 35 million kilometres while riding to school. By 2013, that had dropped to less than 10 million kilometres. Nowadays, one third of all morning rush-hour traffic is attributed to school drop-offs and pick-ups. Of course, safety is the biggest barrier. There are times when it doesn’t feel safe to ride a bicycle. Or to walk. There are two elements to safety – the real and the perceived. Both need to be addressed. And while the statistics reveal that the actual risk of riding a bicycle is actually very low, perception weighs heavily on a person’s decision to not ride a bicycle. Having children actively transporting themselves to school would be a game changer. The personal and societal benefits would be huge. In physical and emotional terms. It’s going to take a community effort to bring about some serious change.